… and make the path wide enough that you don’t fall off. When I first went to rehab, I defined my recovery as no drinking. A year later, I leveled up to no smoking. Five years after that, no bingeing / purging / starving. Your wins are yours to define and yours to celebrate, and as we say at Workit Health, you compared to you is an absolute miracle. 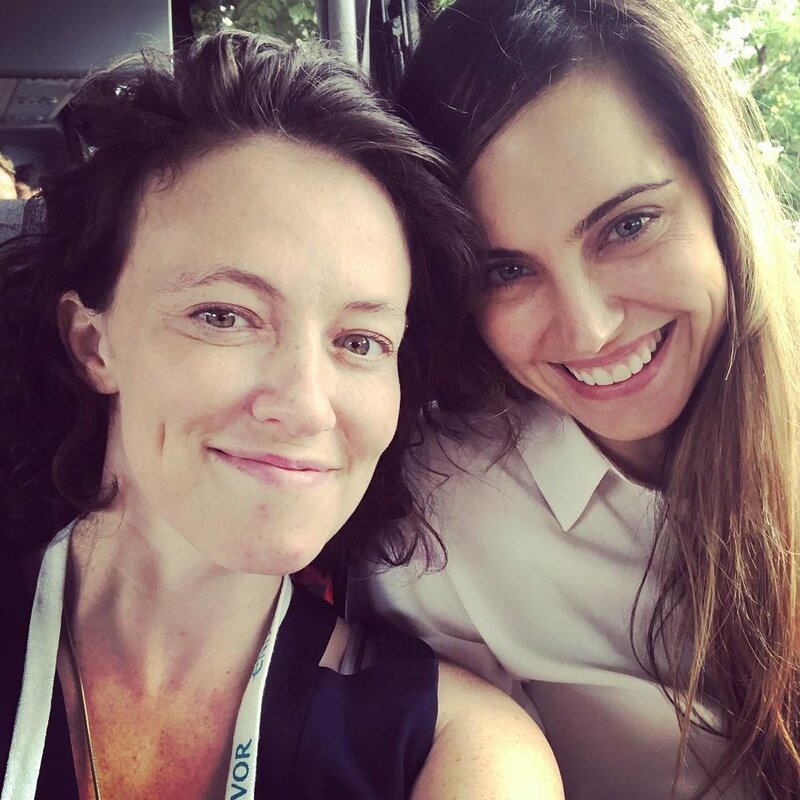 Robin and Lisa, Workit Health's Co-Founders and Co-CEO's. I try to say what I mean, when I mean it. The times when I (inevitably) fall short, I course correct as soon as possible, even if that means calling someone at 2am and leaving an embarrassing voicemail. 3. It’s possible to bio-hack your way to better being. A recent realization, mostly due to my recovery circle urging me to up my supplement game. Morning smoothies consist of a dizzying array of ingredients, including peptide powder, Ashwagandha, and a mysterious substance called He Shou Wu. It’s a work in progress. 4. The only way out is through. The pain is inevitable, and if you ride it like a wave, time heals all wounds. Truth. Approach challenges with a spirit of inquiry, rather than one of accusation. Change statements into questions, and never stop asking why. 6. Fight emotion with fact, fact with emotion. Best advice I’ve found when dealing with angry humans. Or humans I am angry at, it works both ways. 7. When you must choose between resentment and guilt, always choose guilt. This is a personal preference, like selecting an ice cream flavor. Guilt and salted caramel, please. 8. Always answer the phone when your parents call. 9. No risk, no reward. When we started Workit, I was terrified to tell my story at a public level. I risked “outing” myself as an addict, and I worried I'd be opening myself up to scrutiny and ridicule. I was so blissfully wrong in this assumption. The rewards for opening up have been authentic connections within our Workit community and beyond, and a profound sense of wellbeing and safety. Not to mention, I now feel comfortable ordering Shirley Temples with reckless abandon. 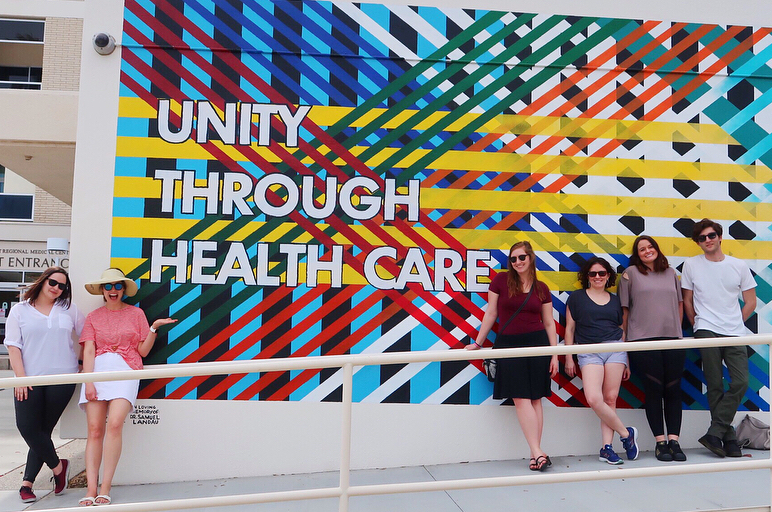 Workit Health team members at our recent summit. 10. Magic is f*cking real. When I took my first thirty day chip, I couldn’t imagine getting to day thirty one. Ten years later, I’m writing these words as the co-founder of an addiction company, sitting next to a person I love, working with an incredibly talented team of people as freakishly passionate about addiction recovery as I am. I credit this with nothing short of magic (aka a combination of hard work & luck). Ready to start your own recovery journey? Robin McIntosh is Workit Health's Co-Founder and Co-CEO. She is an experienced designer & entrepreneur. She has founded multiple companies, and has worked in health and consumer tech over the past ten years. Older PostOn Overdose Day, It's Vital to Remember Buprenorphine Saves Lives. So Why Is It so Hard to Get?